Our wild take on a traditional chai, this blend is built on a base of premium golden assam tea. Wild Ontario blueberries add a lush, sweet note that is balanced out by the enlivening presence of organic cardamom and Ceylon cinnamon chips. Delicate jasmine flowers round out this delicious blend that is the perfect way to start your morning. Steep 1-2 teaspoons of loose tea in just-below-boiling water for 2-4 minutes, according to your preference. This tea is lovely enjoyed black, but a drizzle of honey and a splash of cream turn it into a delightful treat. 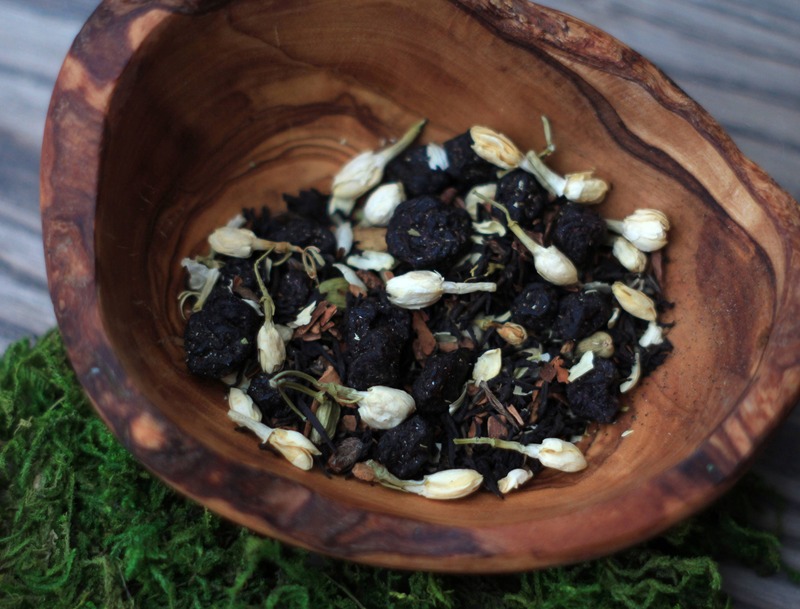 DARK HOLLOW tea arrives in a resealable, recyclable ricepaper packet containing 25g of premium hand-blended loose-leaf tea and organic herbs and spices. These items are not intended to treat, diagnose, or cure any diseases. They have not been reviewed by the FDA. Do not ingest if you are pregnant or nursing. Payment must be made at the time of purchase. If payment is not received within 3 business days of purchase, your order will be cancelled and the item re-listed. Cancellation will be considered on a case-by-case basis; please contact me directly to discuss. Your order will ship within 3 business days of payment confirmation. Please feel free to contact me with questions or concerns regarding shipping; I will always do my best to ensure your package arrives as expediently as possible. If you are unhappy with your purchase for any reason, please contact me and I will happily work with you to come to a satisfactory resolution, whether by refund or replacement. All purchases arrive to you packaged with utmost care; pieces are nestled safely inside a sturdy decorative box, then sealed to ensure as little chance of damage as possible. Lovely smokey scent and taste. This tea is gorgeous. The blueberries and cardamom bring to mind my grandmother's summer home in Finland, where we pick blueberries straight from the bush and her sweet breads are baked with cardamom. It smells divine, tastes amazing, and is just lovely with a dash of milk.